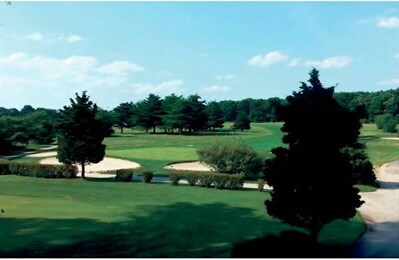 SICKLERVILLE, N.J. – A historic black- owned golf course in New Jersey has fallen into rough times. The Freeway Golf Course, built on a sprawling 150-acre property in Sicklerville, was once the site of some major tournaments. But The Philadelphia Inquirer reports the course now stands abandoned, with ant hills overtaking the sand pits and angry red weeds growing to calf height. The last round played there was in late November. The course has been up for sale since February, with an initial asking price of $2.4 million. Its owners have received several offers, but so far no deal has been closed. Jerry McCarthy, the broker working with the property, told the newspaper that it has been particularly challenging to find a buyer who will maintain the site as a golf course, which is the future that board members prefer. Fans of the course are mourning its loss. “I do miss it. And the whole population that used to play there misses it, as well,” said Joe Thomas, one of a dozen shareholders now responsible for the property. Though he continues to play golf, he said he no longer has a “home course.” Thomas, 50, remembers learning to play golf on the course 30 years ago, when it was a safe haven for black golfers who often weren’t accepted into other clubs in the area. But progress in racial equity took its toll on the course. Freeway lost a large chunk of its business when other golf clubs became more accepting and more courses popped up in the area.